In this exciting episode, Drs. 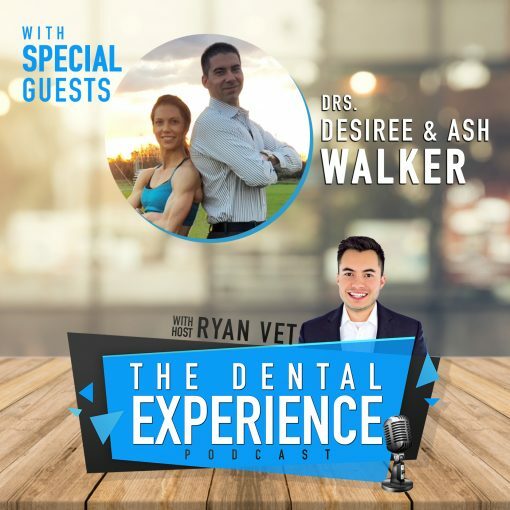 Desiree and Ash Walker join Ryan Vet on The Dental Experience Podcast. This husband/wife duo is a first for the dental podcast and the first time Ryan has hosted a ninja dentist. Together Ash and Desiree share how they’ve built Desiree’s practice solely focused around the idea of providing extraordinary experiences for patients. Each decision made, down to the most minuscule details, all focus on creating an experience worth sharing. Plus, to make things more interesting, Desiree was a contestant on American Ninja Warrior. Since then, Desiree has come to be known as the Ninja Dentist. When she and Ash built Lumber River Dental from the ground up, her ninja-like habits had a key role in creating an epic office. If you are contemplating a dental start-up, listen to this episode for some interesting ideas on how to build your practice in such a way that patients will love to come. Follow Desiree, the Ninja Dentist on Instagram! Click Here.